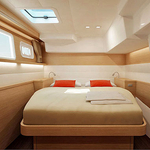 Yacht Lagoon 450 named Shana has been built in 2014. 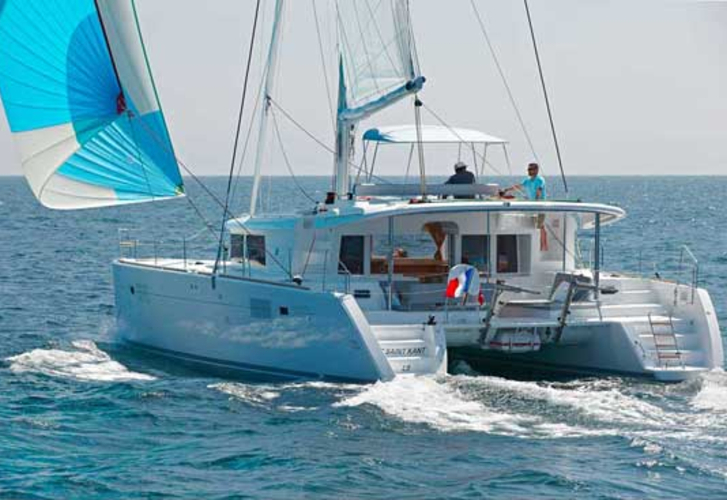 We propose this boat from harbor Phuket around Phuket. Shana is certified for 10 pax. Layout of the vessel is 10 (8+2). 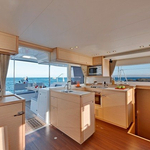 Lagoon 450 Shana has 4 bedrooms. 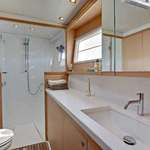 For comfort of passengers there are 4 bathrooms. You can fill the diesel tank with 1000.00 l liters and in water tank it goes even 525.00 l liters. With engine 2x40 hp Yanmar Shana can move really fast. Shana is 13.96 m long and 7.84 m wide. Draft is 1.30 meters. 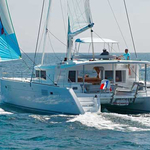 Read about different boats under this link: Catamarans Phuket. 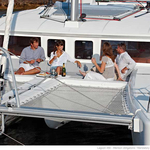 Vessel's equipment consists of : Freezer, Air conditioning, Water maker, Dinghy, Barbecue, Bimini top, Electric winch, generator. . Deposit is 4500.00 EUR. 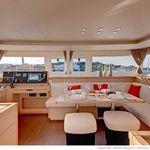 Choose our offer and enjoy your vacation on the deck of Shana. 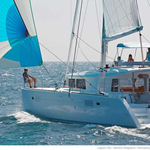 This Lagoon 450 from Phuket from Thailand You can search under this link: Catamarans Thailand.